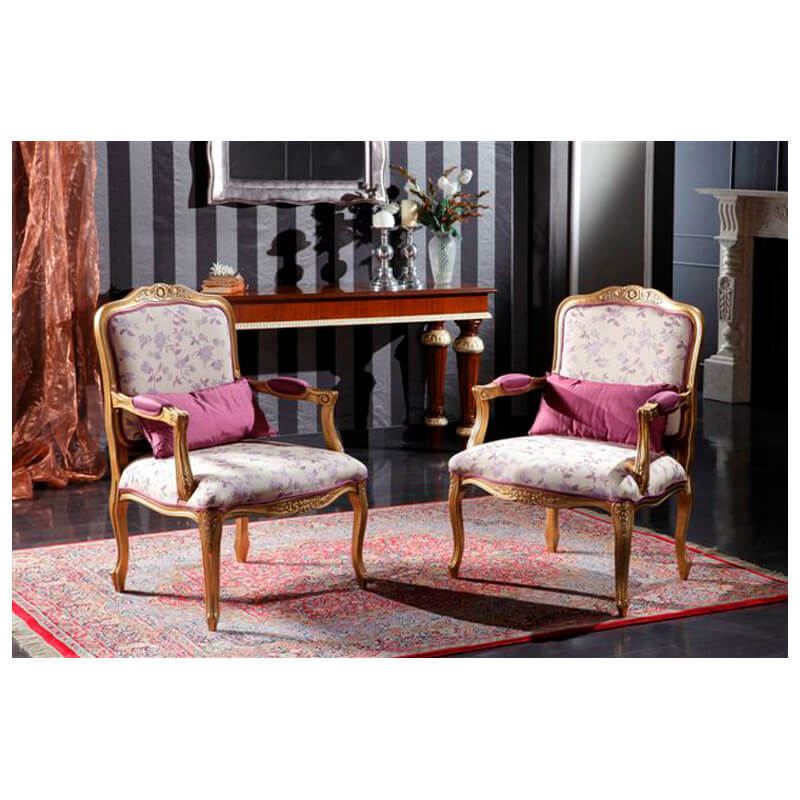 Part of the Raffaello Collection this classic dining room chairs is shown in a walnut finish. These elegantly carved Italian dining chairs have an extra wide seat for comfort and special scrolled details. 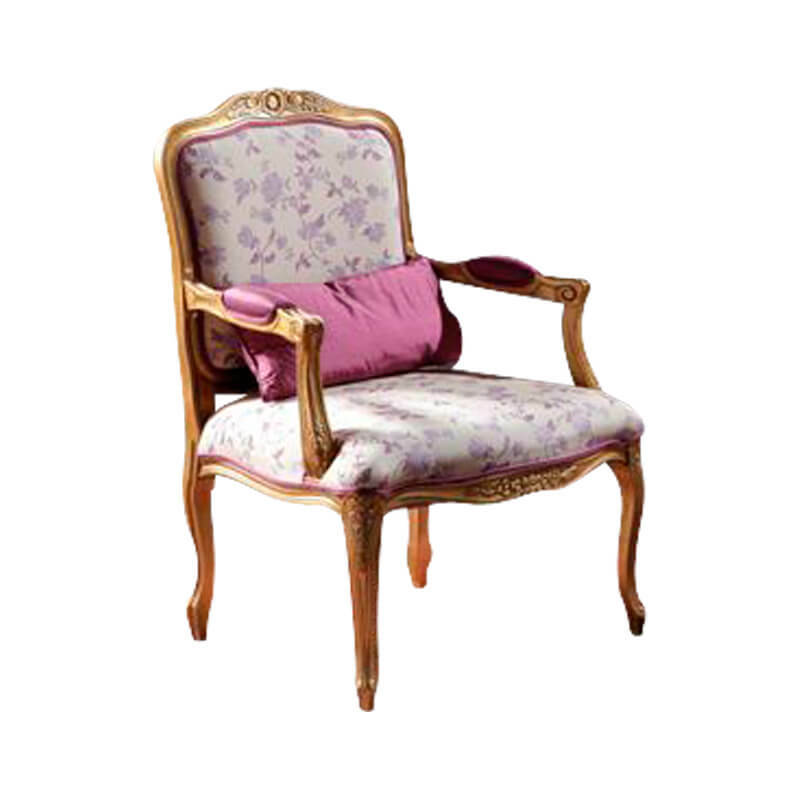 Available as a formal armchair, each dining chair is available in your choice of fabric and finish. Fabric choices and Finish samples available upon request. Call one of our Interior Designers today for a free consultation. 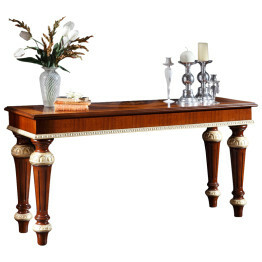 Part of the Raffaello Collection this classic Italian console table is shown in walnut finish with distinctive inlaid wood top and antique Florence gold decoration. Like the complementary GV1253 Italian coffee table, this beautiful table was unveiled to wide acclaim at the Milan furniture fair. Part of the Raffaello Collection, this handcrafted formal Italian dining table is made 100% in Italy by skilled Italian craftsmen with generations of furniture building experience. 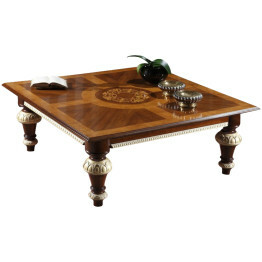 This unique table was introduced at the Milan furniture fair to much acclaim, and features a distinctive inlaid wood top, and antique Florence gold accents. 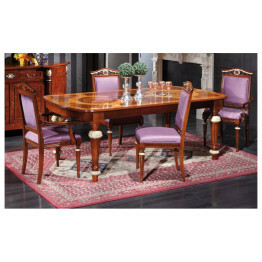 This formal Italian dining table also features two internally- storing table extensions, taking the table from 87″ to 124″ (43.3″ wide); when extended this table will comfortably seat 12 people. 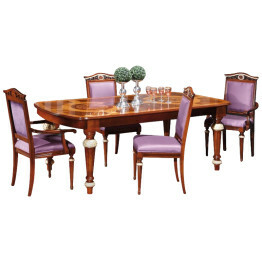 Price shown includes extensions, inlaid wood top, and antique gold accents.